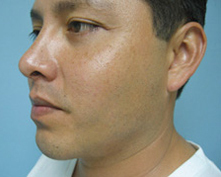 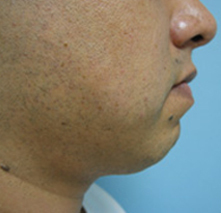 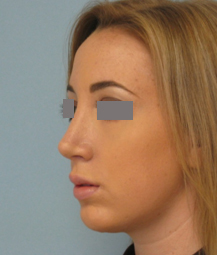 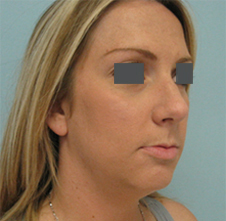 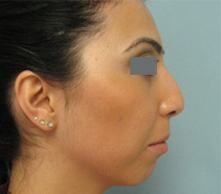 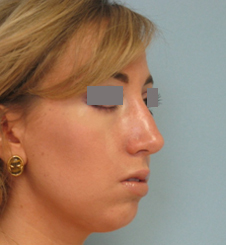 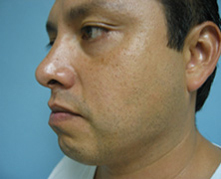 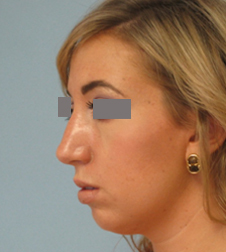 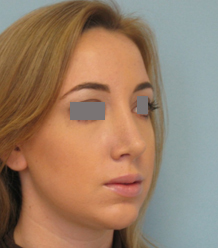 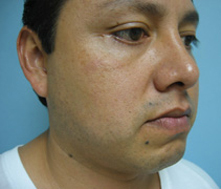 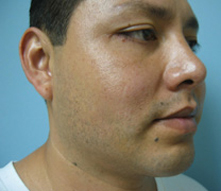 A chin implant was placed to improve the projection of the chin. 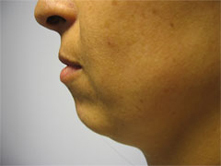 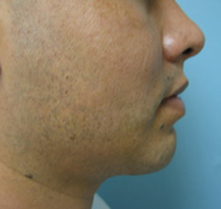 Chin augmentation using a medium size silicone chin implant. 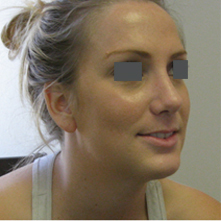 Patient 2: Chin augmentation using a small size silicone implant. 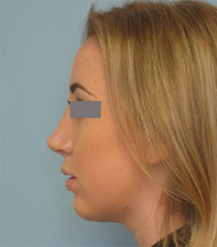 Patient 3: Chin augmentation using a medium size silicone implant and rhinoplasty. 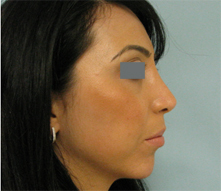 Patient 4: Chin augmentation using a small size silicone implant and rhinoplasty. 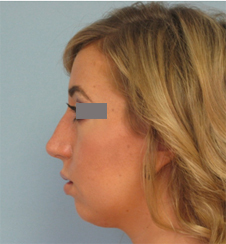 Patient 5: Chin augmentation using a small size silicone implant and rhinoplasty revision.